Breakfast? Sure … try these! The Crescent Café offers traditional breakfast including scrambles, huge pancakes, Bourbon Vanilla French Toast and homemade Corned Beef Hash. I love the fried cornmeal (like a browned piece of polenta) with eggs and bacon. Also a great spot for lunch, try the chicken hash or classic Reuben. 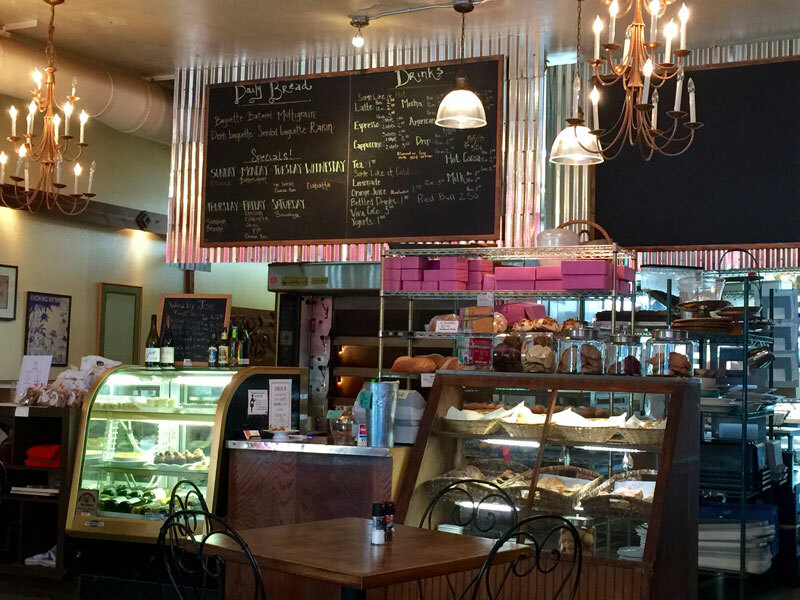 Red Fox Bakery, an artisan bakery only using fresh and natural ingredients, also serves breakfast and lunch. Great coffee, excellent eggs and bacon. And you could add a Bloody Mary, too! I have to grab one of their coconut macaroons for later. Around the corner from the Barberry, tucked into the Courtyard on Third, is Morning Thunder Café. Breakfast and lunch, homemade breads, beautiful and generous sandwiches, salads and oddities. Grateful Dead fans unite here, I think.